Moscow Renaissance Fair Queen Jeanne & King Fritz, KRFP Food Booth! Review the linked local articles, websites, and facebook pages for further information about the Ren Fair Queen and King, their long-overdue, well-deserved honor as one of the best royalty choices ever, and the free, public fair that runs from 10 am to 9 pm on Saturday, April 30, and from 10 am to 6 pm on Sunday, May 1, at East City Park, 900 East Third Street in Moscow, Idaho. 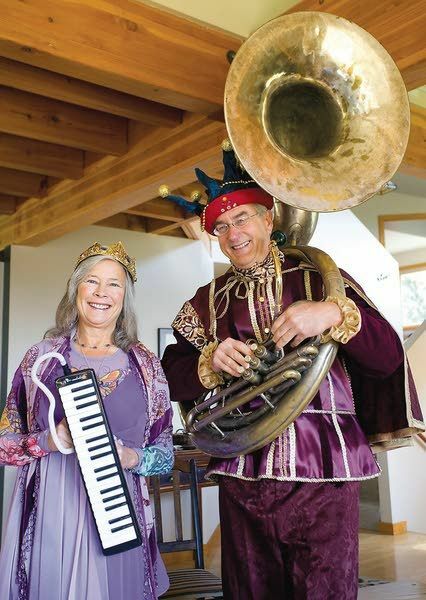 The unique, regional, self-sustaining festival features live music and dancing, a new beer and wine garden, activities for children, and many craft vendors and non-profit food booths. 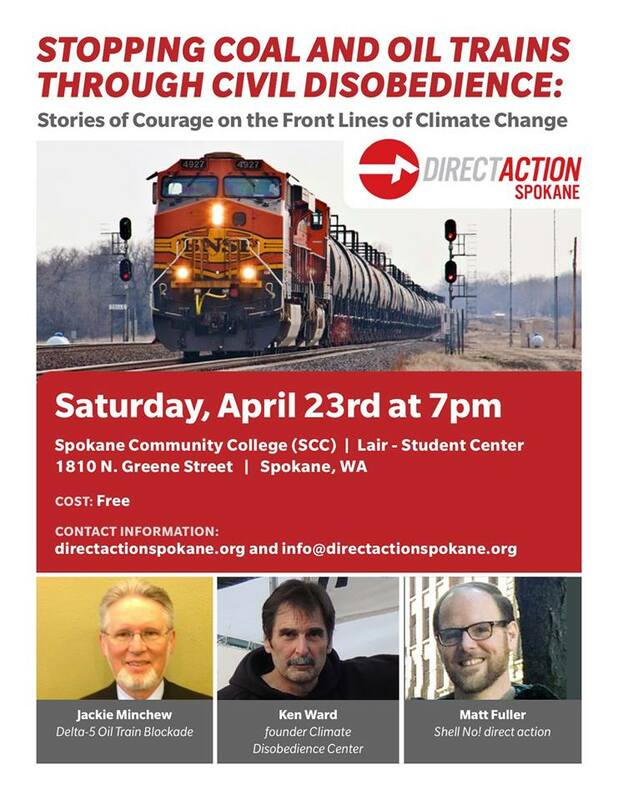 The Wednesday, April 27, 2016 Climate Justice Forum radio program hosted by Wild Idaho Rising Tide offers a recording of the free, public panel discussion Stopping Coal and Oil Trains through Civil Disobedience: Stories of Courage on the Front Lines of Climate Change, hosted by Direct Action Spokane on April 23 at Spokane Community College. Featured speakers describing the motivations and logistics of direct confrontations of the perpetrators of catastrophic climate change include Ken Ward, 2013 lobster boat blockader of a coal barge and co-founder of the Climate Disobedience Center, Mike LaPointe and Jackie Minchew, 2014 Delta 5 oil train blockaders, and Dylan Thompson, an Eugene, Oregon organizer of Deep Green Resistance. Broadcast on progressive, volunteer, community station KRFP Radio Free Moscow every Wednesday between 1:30 and 3 pm PDT, live at 90.3 FM and online, the show covers continent-wide climate activism and community opposition to extreme energy projects, thanks to the generous, anonymous listener who adopted program host Helen Yost as her KRFP DJ. Regional Earth Week Events: Help WIRT with Outreach! Wild Idaho Rising Tide (WIRT) activists are participating in several events this week, for which we are still seeking volunteers: Please join us! The University of Idaho (UI) Sustainability Center in Moscow, Idaho, is hosting Earth Fest 2016 events this week . At the Spring 2016 Bike Fix and Sustainability Showcase, participants can receive free tune-ups and advice about their bicycles, while they learn about local cycling opportunities and campus and community organizations making a difference. Meet us at the WIRT table on the UI Commons Plaza outside Einstein’s Coffee, to set-up early at 10:30 am, to distribute information and obtain pledges for the Break Free Northwest mass action in Anacortes in mid-May , to answer questions about WIRT campaigns, activities, and opportunities, and to interact with the university community. WIRT will bring all of the necessary display and information supplies, to assist volunteers in successfully accommodating on-site visitors and closing by 4 pm. Contact WIRT to pitch in! The Wednesday, April 20, 2016 Climate Justice Forum radio program hosted by Wild Idaho Rising Tide gratefully shares an April 18 on-air interview of Climate Disobedience Center co-founder and Greenpeace USA deputy director Ken Ward, by Praxis radio show host Taylor Weech on KYRS Spokane . Their conversation explores the use of direct action and civil disobedience to address catastrophic climate change, to tackle the growth machine killing our only home, and to remain human among these morally strenuous tasks. Ken and Taylor discuss his 2013 blockade of a coal barge with a lobster boat and Jay O’Hara, other direct actions, and his April 23 Spokane presentation with Jackie Minchew, of the 2014 Delta 5 oil train blockaders, and Matt Fuller of the 2015 sHellNo! Arctic drilling protests. Broadcast on progressive, volunteer, community station KRFP Radio Free Moscow every Wednesday between 1:30 and 3 pm PDT, live at 90.3 FM and online, the show covers continent-wide climate activism and community opposition to extreme energy projects, thanks to the generous, anonymous listener who adopted program host Helen Yost as her KRFP DJ. WIRT volunteers still needed! The Associated Students of Washington State University (ASWSU) Environmental Sustainability Alliance are providing great opportunities on Earth Day to show the many ways that the people of the Palouse are working to address environmental issues . They cordially invite interested student and community organizations to join them at the 2016 Washington State University (WSU) Earth Day Fair on the Glenn Terrell Mall of the WSU Pullman campus, to promote sustainability and environmental awareness and involvement. Celebrating Earth Day outdoors on Friday, April 22, the annual event from 10 am to 2:30 pm offers free stickers, t-shirts, water bottles, and other handouts and approximately 30 reserved tables for groups leading special service projects, handing out food, and teaching ways to become more eco-friendly. Table set-up occurs between 8:30 and 10 am, and break-down from 2:30 to 3:30 pm. The noon hour until 1 pm features an open mic for participants on the Todd Hall steps. The Wednesday, April 20, 2016 Climate Justice Forum radio program hosted by Wild Idaho Rising Tide gratefully shares an April 18 on-air interview of Climate Disobedience Center co-founder and Greenpeace USA deputy director Ken Ward, by Praxis radio show host Taylor Weech on KYRS Spokane. Their conversation explores the use of direct action and civil disobedience to address catastrophic climate change, to tackle the growth machine killing our only home, and to remain human among these morally strenuous tasks. 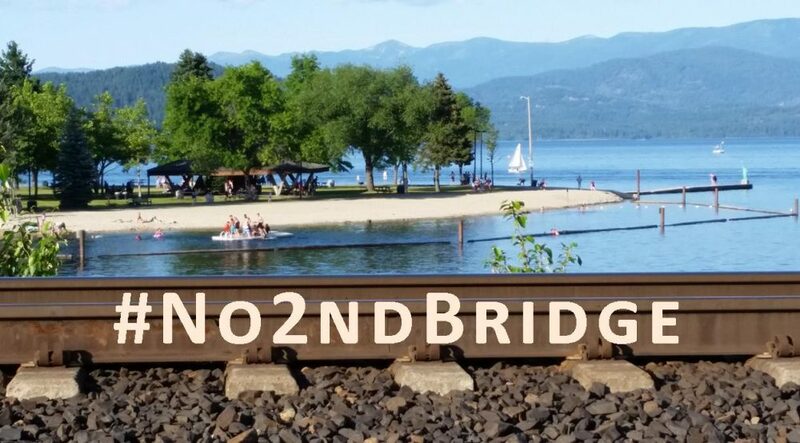 Ken and Taylor discuss his 2013 blockade of a coal barge with a lobster boat and Jay O’Hara, other direct actions, and his April 23 Spokane presentation with Jackie Minchew, of the 2014 Delta 5 oil train blockaders, and Matt Fuller of the 2015 sHellNo! Arctic drilling protests. Broadcast on progressive, volunteer, community station KRFP Radio Free Moscow every Wednesday between 1:30 and 3 pm PDT, live at 90.3 FM and online, the show covers continent-wide climate activism and community opposition to extreme energy projects, thanks to the generous, anonymous listener who adopted program host Helen Yost as her KRFP DJ. The Wednesday, April 13, 2016 Climate Justice Forum radio program hosted by Wild Idaho Rising Tide (WIRT) discusses the Port of Vancouver Commission hearing on a Tesoro Savage oil terminal lease amendment, a federal court decision allowing a climate change lawsuit brought by 21 youths to proceed, and upcoming Earth Week events including a WIRT Sandpoint office-warming party, Earth Day Spokane 2016, and a panel discussion about civil disobedience against coal and oil trains. Broadcast on progressive, volunteer, community station KRFP Radio Free Moscow every Wednesday between 1:30 and 3 pm PDT, live at 90.3 FM and online, the show covers continent-wide climate activism and community opposition to extreme energy projects, thanks to the generous, anonymous listener who adopted program host Helen Yost as her KRFP DJ. 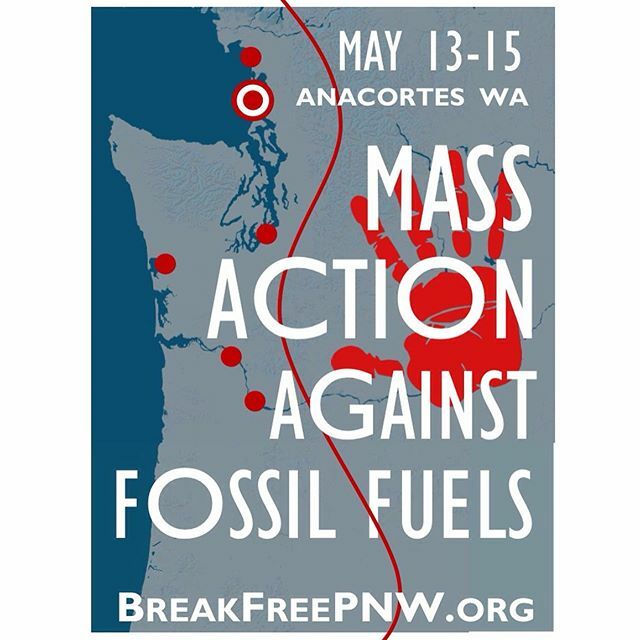 April 13-14: Bill McKibben at WSU, May 13-15: Anacortes Break Free Action! Climate movement leader, educator, and author Bill McKibben is speaking twice for Humanities Week at Washington State University (WSU) in Pullman . In the wake of well-attended screenings and panel discussions of the global climate activism documentary This Changes Everything in Moscow and Sandpoint in late March, Wild Idaho Rising Tide (WIRT) and regional allies anticipate that McKibben can further mobilize inland Northwest residents to participate in the 350.org-initiated Break Free from Fossil Fuels mass action in Anacortes, Washington, in mid-May . WIRT is calling on you and all volunteers to assist with distributing the attached quarter-sheet flyers outside both WSU events, to recruit more involvement in the already hundreds-strong Break Free Pacific Northwest demonstration of fossil fuel resistance: Please contact WIRT if you can help. End the Tesoro Savage Oil Terminal Lease! On Tuesday, April 12, 2016, Port of Vancouver Commissioners are conducting another public hearing . The lease for the largest crude oil-by-rail transfer, storage, and shipping terminal in North America – Vancouver Energy proposed by Tesoro Corporation and Savage Companies for Vancouver, Washington – expires on August 1. But Vancouver Energy proponents are requesting, Burlington Northern Santa Fe (BNSF) Railway is supporting (and attending the hearing), and the Port Commissioners are considering a lease amendment extending the government approval contingency period of the lease by two years and providing an additional 30 months to resolve any approval appeals, decreasing higher monthly rent after August 1, foregoing operation of a second Tesoro Savage oil facility at the port, and allowing port use of Vancouver Energy premises during the extended contingency period . Initially approving the Vancouver Energy lease in 2013, the Commissioners assumed that the Washington Energy Facility Site Evaluation Council (EFSEC) would complete its project review within 12 months per state law. 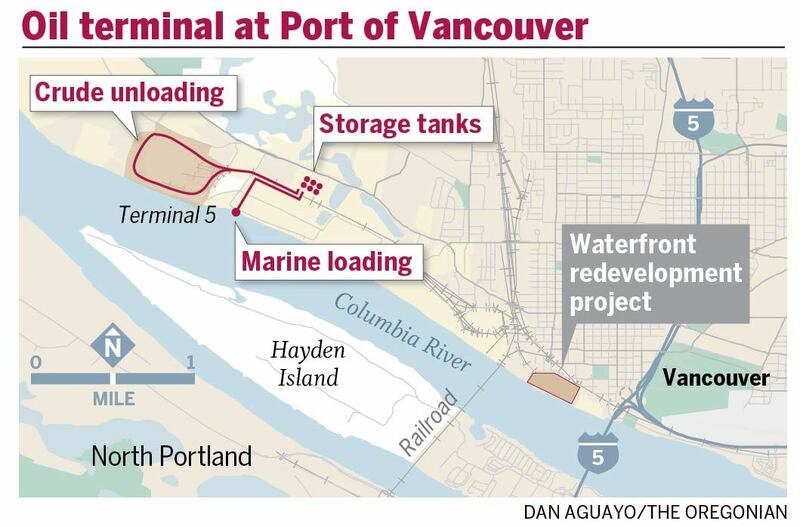 In its third year of this arduous process, complicated and prolonged by widespread public resistance, Vancouver Energy has not obtained the government approvals necessary to build the terminal, as required by its Port of Vancouver lease. The terms of the original lease, which the Commissioners wisely negotiated and Vancouver Energy accepted, include the option for both parties to terminate the lease on or before August 1 “without further cost or obligation.” The Port Commissioners must decide by August whether they will use this critical opportunity to end the Tesoro Savage lease and thus lead the Northwest and the nation towards a clean, independent, and secure energy future. Otherwise, they lose this option. Last Wednesday, April 6, Port of Vancouver staff significantly recommended against extending the Vancouver Energy lease; they will present their objections at the April 12 Port Commission meeting. Reconvening its April 12 regular meeting at 1 pm on Friday, April 15, at the Port’s administrative office, the Board of Commissioners will consider and likely take action on the lease amendment, without further on-site public comments. Meanwhile, the Vancouver Port Commissioners need to know and understand that the region supports their positive, strong action to terminate the lease for the dangerous, dead-end Tesoro Savage project. Such encouragement must come from local and up-track community residents, tribal members, labor representatives, health professionals, firefighting and emergency personnel, business people, elected officials, faith leaders, and climate activists. Vancouver Energy oil terminal opponents of every perspective have packed each hearing to date and must again assert their concerns before Friday. The Wednesday, April 6, 2016 Climate Justice Forum radio program hosted by Wild Idaho Rising Tide (WIRT) discusses proposed new and expansion fossil fuel infrastructure projects on the Columbia River and Oregon and Washington coasts that regional resistance has stalled and stopped, including two Grays Harbor, Washington crude oil terminals and the Gateway Pacific coal export facility at Cherry Point, Washington. Broadcast on progressive, volunteer, community station KRFP Radio Free Moscow every Wednesday between 1:30 and 3 pm PDT, live at 90.3 FM and online, the show covers continent-wide climate activism and community opposition to extreme energy projects, thanks to the generous, anonymous listener who adopted program host Helen Yost as her KRFP DJ.